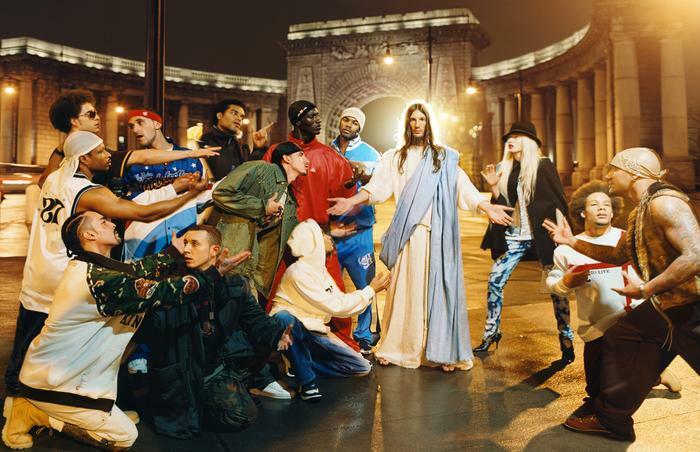 LaChapelle's series Jesus is My Homeboy (2003), will be showing at Kunstmuseum Bochum as a part of their upcoming show titled Image Makes Religion. For two decades, cross-cultural exhibition projects have been a focus of the Art Museum Bochum. Some projects have centred on individual nations, exhibiting historical and contemporary art and culture related to a specific theme from such countries as Armenia, South Africa and Korea; but also entire continents, for example South America, have been addressed. In the course of these projects, the fascinating interaction between religion and art – especially contemporary art – became manifest and was addressed in such projects as Zen and Western Art (2000), The Right of the Image – Jewish Perspectives in Modern Art (2003), Julius Bissier. The Metaphysical Painter (2008), Unerwarted/Unexpected. From Islamic Art to Contemporary Art (2010), Footsteps of Buddha – Contemporary Art from Asia (2011) and Sparsha. Touching the Senses. Ritual and Contemporary Art from India (2014). These exhibition projects were not about folkloric or religious or sacred art. Rather, the intention was to display artistic works conceived in universal terms that focused on the question of the expression of religious worldviews and cultural characteristics within contemporary art. The exhibition projects that have been realized so far were not limited to the visual arts, rather they were all interdisciplinary. Thus, in addition to comparative displays of historical art and cult objects, events on literature, dance, theatre and film always played a role. In addition, specialist colleagues, most of whom also belonged to the curatorial team, held workshops, symposia and lectures. The exhibition project IMAGE POWER(S) RELIGION, planned for 2018, aims to provide a synopsis of the relationship between religion and image in cross-cultural comparison. Dealing with images is ambivalent. On the one hand, images make it possible to see something that cannot be seen otherwise. In addition to the artistic image, this applies to photography, television, film and the Internet, but also to imaging processes in the natural sciences. At the latest since Bruno Latour spoke of “Iconoclash”, it has become clear that we cannot do without visual representation (Latour 2002). Images can have something attractive; they can fascinate and inspire. On the other hand, images show something that perhaps should not be shown and should remain unseen; not only because, in the case of cruelty, what is shown is terrifying, but also because of the risk that what is shown may be identified with its image. Art and religion in particular react to this risk. While some religious traditions are particularly image-friendly and see the presence of the divine in what is portrayed, other religious currents react to the identification of the medium of portrayal with what is portrayed by prohibiting images and destroying them. But art, too, continually addresses the limits of what can be portrayed. Consider, for example, Wassily Kandinsky’s intention to find the “spiritual in art” in pure abstraction, or the criticism of the image in Piet Mondrian’s works. The different positions in religion and art in relation to the image oscillate between a friendly responsive attitude towards the image and skepticism or hostility towards the image, depending on which aspect of the image – representation, presentation or presence – or which aspect of seeing– seeing something, seeing something in something and something as something –is emphasized. The exhibition examines this ambivalent treatment of images in art and religion. Though they work with different terms of reference, these two realms have developed a special sensitivity for the presence of what is absent and the absence of what is present. The exhibition takes as its point of departure the iconoclasm of the Reformation era (theologically initiated by, for example, Andreas Bodenstein von Karlstadt, Ulrich Zwingli and John Calvin) and from there looks back on the past and into present in a cross-cultural comparison. In a historical perspective, the project also takes a look at the image cult of ancient rulers (Alexander the Great, Augustus), the aniconic beginnings of Christianity and Buddhism, Byzantine Iconoclasm and the controversies on the question of images between Christians, Jews and Muslims. These historical developments are reflected – directly or indirectly – in modern art. It addresses the ambivalence of the image with reference to religious contents and forms, among other aspects. In general, religious motifs in art and artistic forms of expression in various religions are taken into consideration to illustrate the reciprocal influence of art and religion. On the one hand, the selection of exhibits focuses on various art styles and religions in the past and present. As far as religion is concerned, Christianity, Judaism, Islam, Buddhism, Jainism, Hinduism, Daoism and Confucianism are taken into consideration. The constant oscillation between idolatry and iconoclasm within individual religions is kept in mind. No religion has an exclusively and strictly hostile attitude to images or a friendly and responsive attitude. 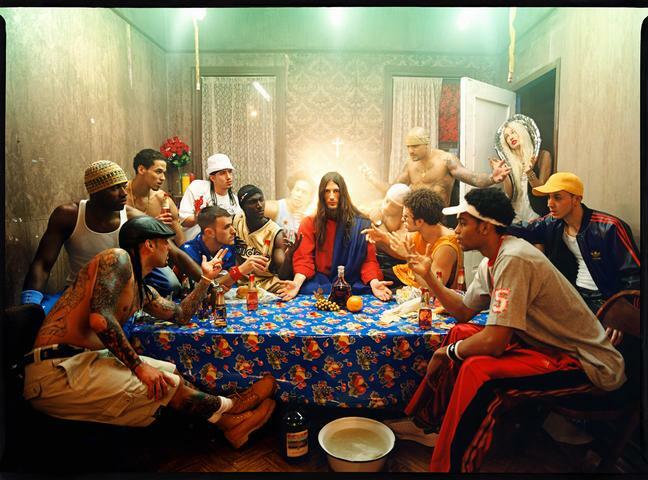 IMAGE POWER(S) RELIGION is a project developed by the Art Museum Bochum in close cooperation with the Centre for Religious Studies (CERES) at the Ruhr-University Bochum. The topics of the exhibition, accompanying events and publication will be developed in an intensive working process involving other curators and specialists. An academic conference on the exhibition topic is planned for November 2018; students are included in the form of a Master’s research project. For more information, please visit the Kunstmuseum Bochum's website.